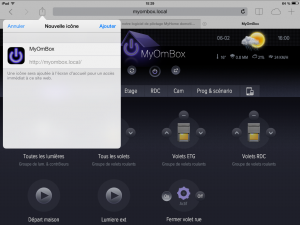 If you have thoroughly followed the previous tutorials, you should be able to implement your MyOmBox, install a cabled or radio network and you have signed up for free on the domain name redirect website, No-Ip.com. We are now going to see how to use this knowledge to make the best of your new installation in your smart, connected home. We have already established that you can use your MyOmBox from inside or outside your home. It is interesting to know that all you need is an internet browser (Safari, Firefox, Chrome…) to remote control your installation. 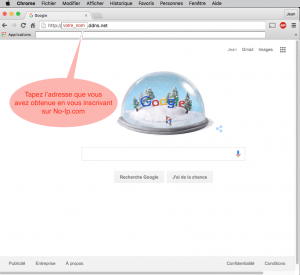 To do so, go to your browser’s address bar and enter http://mon-nom.no-ip.org or http://mon_nom.ddns.net, according to the domain name you have chosen. You have made this selection when signing up on the No-Ip.com website. 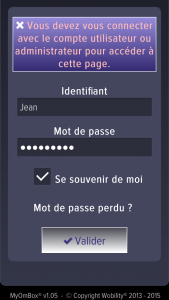 You will then be directed onto a page which will instruct you to log in with your ID and password on the MyOmBox interface. You can tick the box “Remember me” if you don’t wish to populate this information next time you log in. 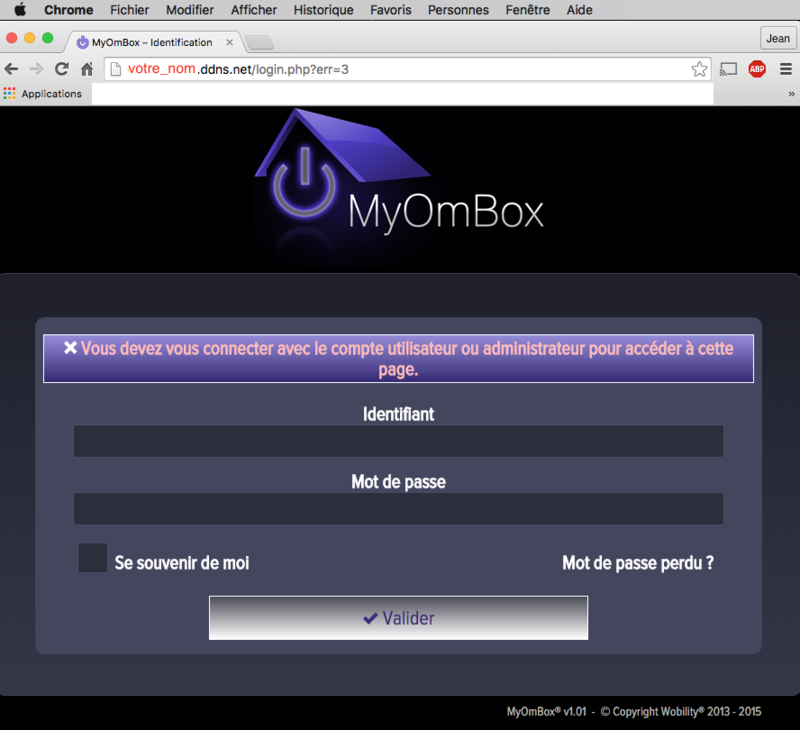 This is done in the “Administration” interface of your MyOmBox. 1st step: you need to switch to “expert” mode by clicking on the drop down menu and selecting “Yes”. Register with the button located at the bottom right of the page. 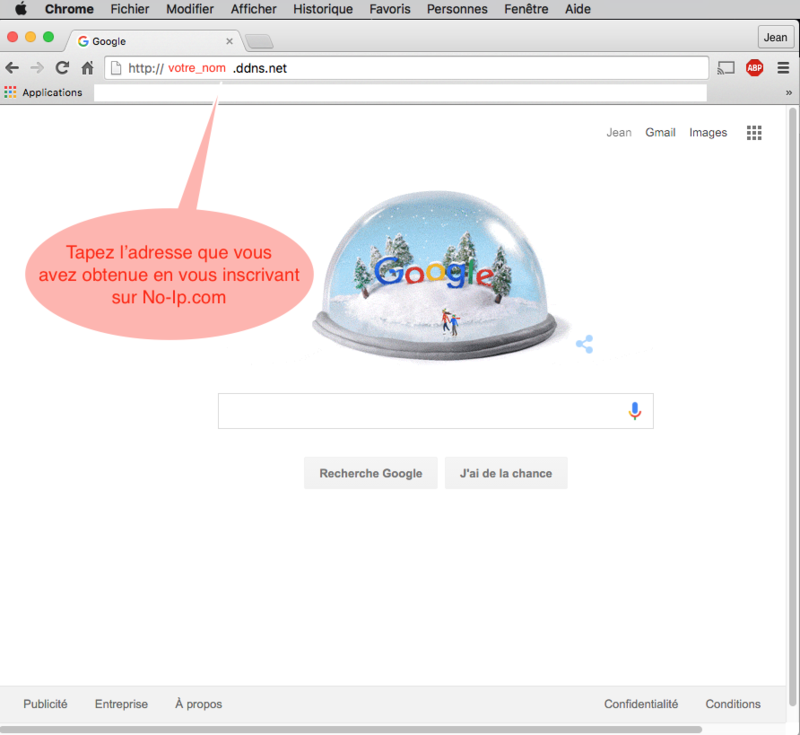 2nd step: Enter the address in the “External connection Url” box you received when you signed up on the No-Ip.com website. 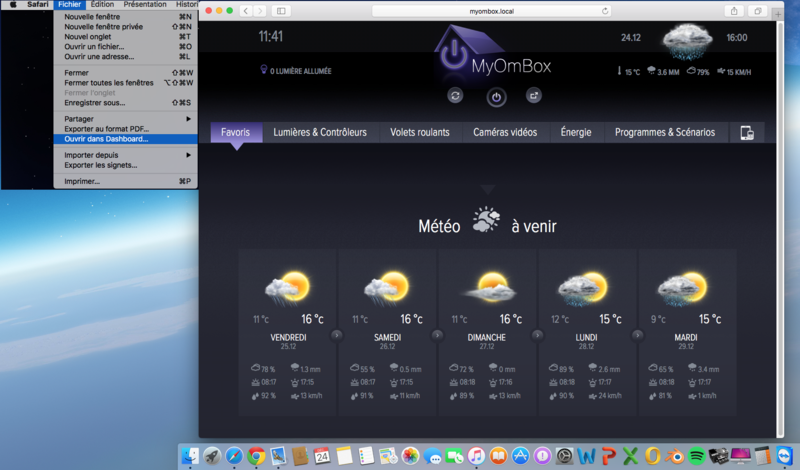 Now, MyOmBox can be accessed from outside. 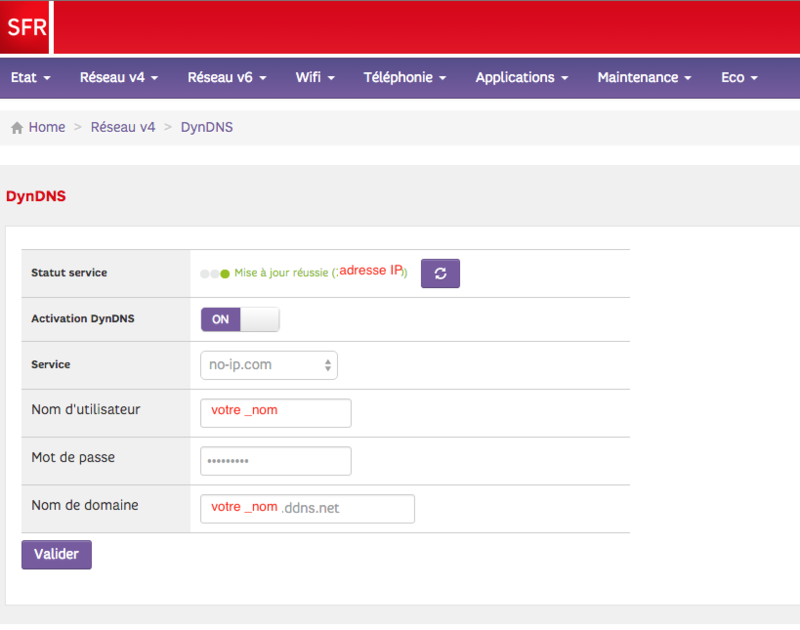 3rd step: Don’t forget to check that you have accurately configured your ADSL box, with the DynDNS and NAT services, so that the redirection of your No-Ip address matches that of your MyOmBox. This step should already be completed if you have followed the tutorials in chronological order. Small refresher in 2 images! Whether you own a smartphone or a tablet, the concepts relating to setup and usage are the same. 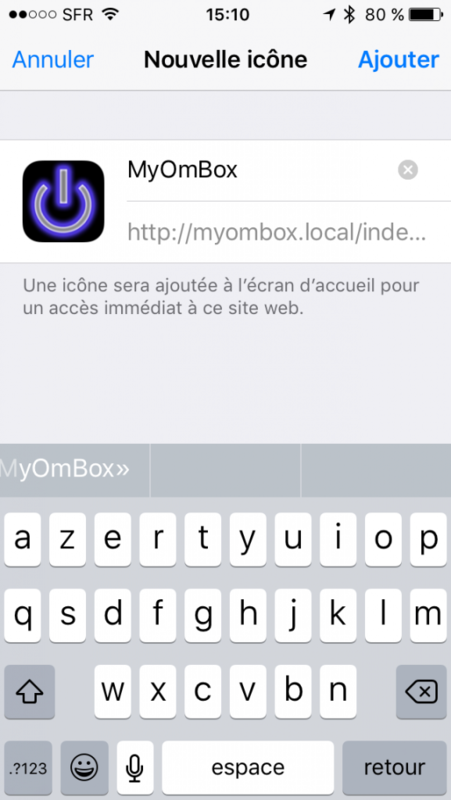 To get the free application, go to Apple Store and search “myombox”. There are 2 applications available. We shall take a look at the first one. 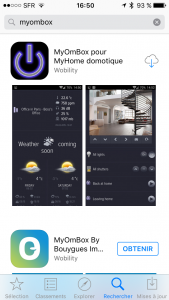 It is compatible with iPhone, iPad and iPod Touch, for versions iOS 6.0 and more recent. You need to configure it the first time you open it, but this is a one off. You need to fill 2 types of addresses. 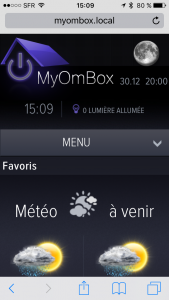 The local address, when you are at home, your house, where your MyOmBox is. 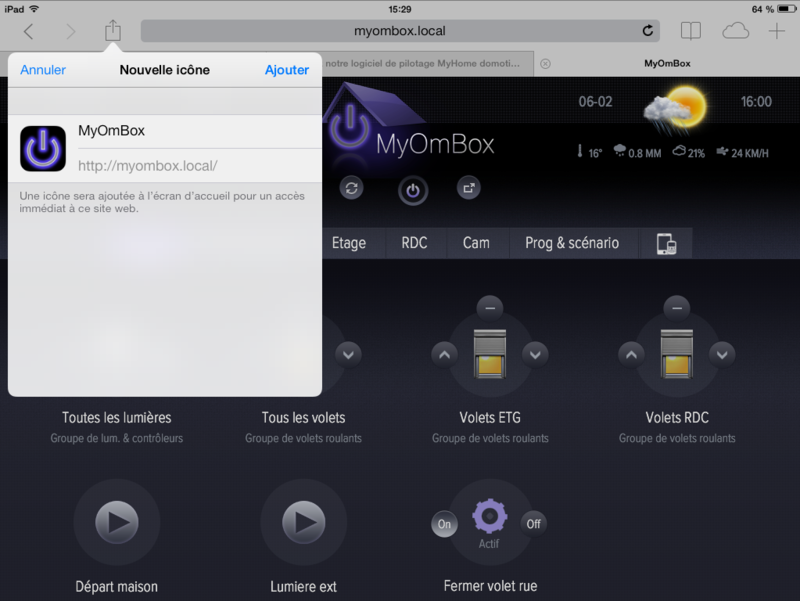 If you have a Mac, you need to open your internet browser (Safari or Chrome) and type the following address in the navigation bar: http://myombox.local. 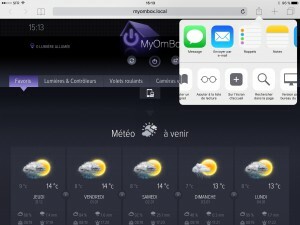 If you have Windows, you need to install Safari or the “Bonjour print services for Windows” or use a network scanner such as Net Scan. 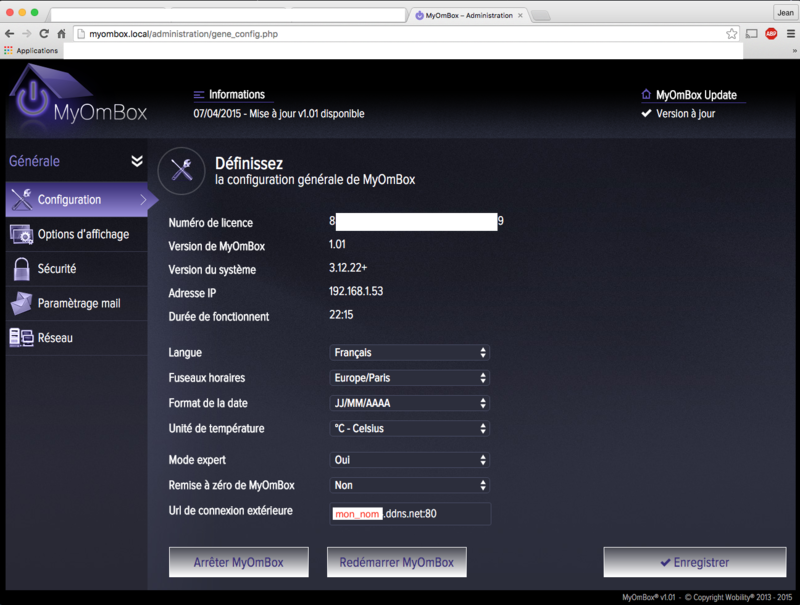 You can then get MyOmBox IP address. 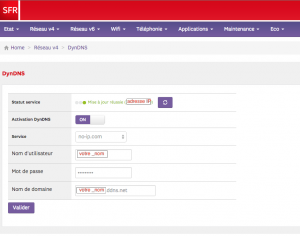 After entering it in your browser, you will be able to access directly the setup page. 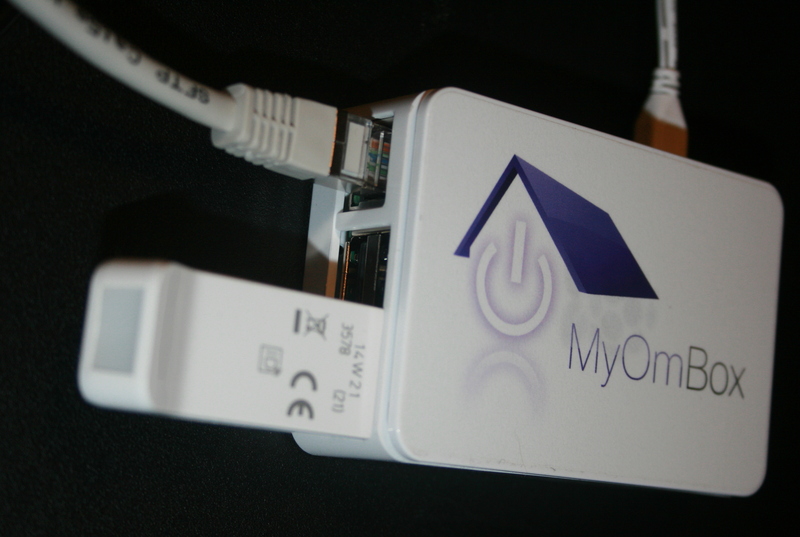 On my network, MyOmBox appears with the IP address 192.168.1.53, the ADSL box’s IP address being http://192.168.1.1 or http://192.168.0.1… You can also go through your ADSL box Admin section and go to the ADSL network page to check your MyOmBox IP address. You then need to use the address you were given when you signed up on the No-Ip.com website. You can check all the steps again on the relevant tutorial. 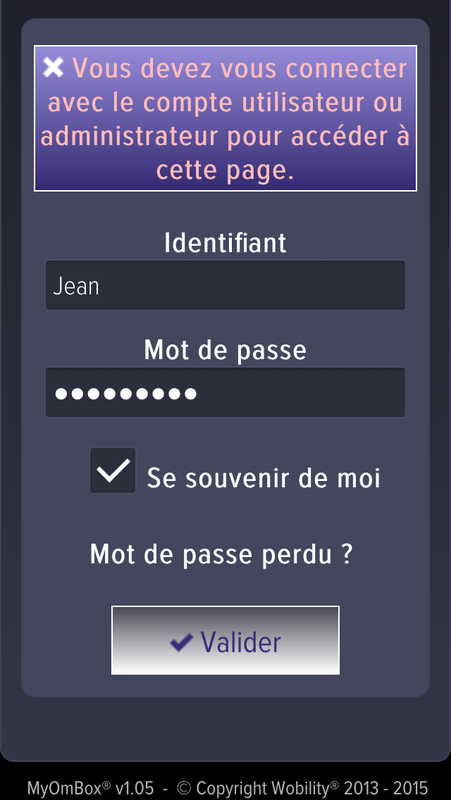 The last step involves logging in to access the user and admin page, by entering your name and password and validating them. 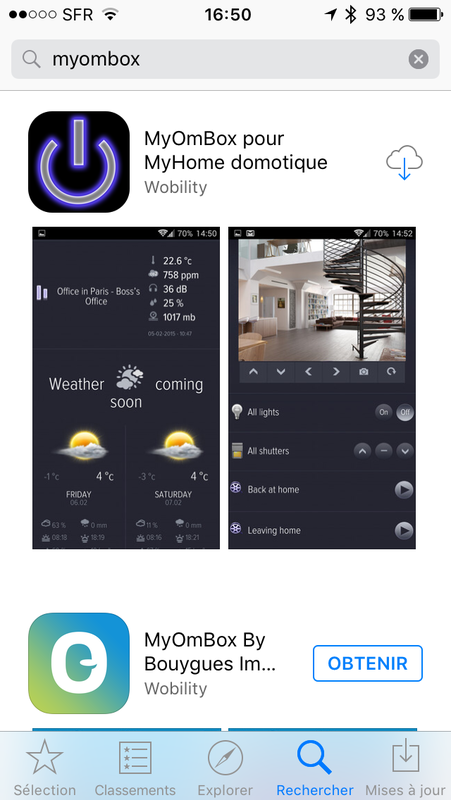 The application developed by Wobility is available on Google Play, free of charge. 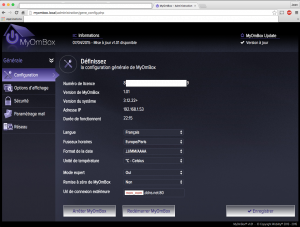 You only need to de conduct a simple search with “myombox”. 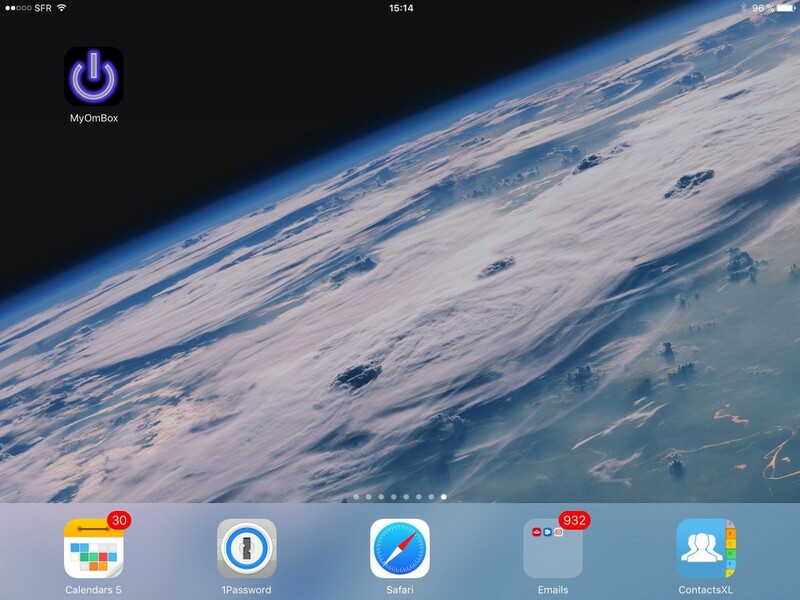 Once downloaded, open it to get the same screens as with Apple devices. 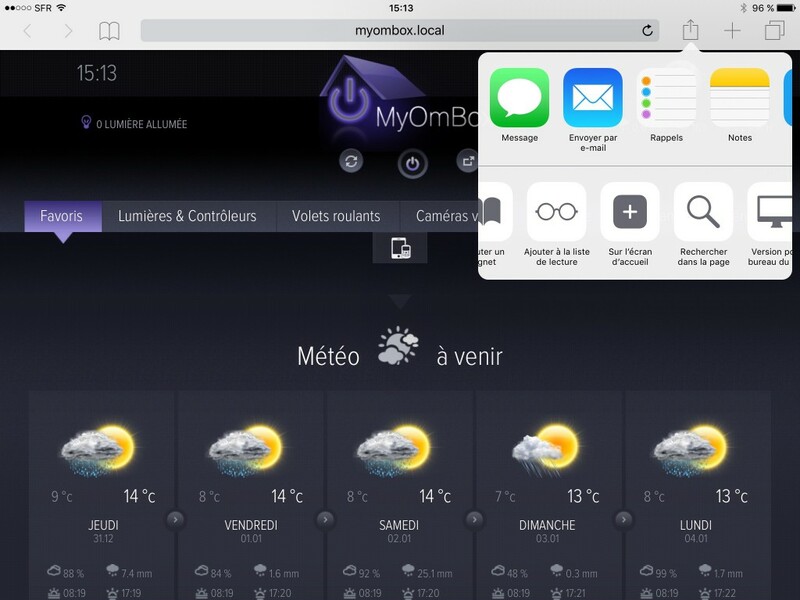 You have all the elements needed to make the best use of your MyOmBox, from inside or outside your home. We all need to be able to act swiftly and in IT, one of the best solutions is offered in the form of shortcuts (keyboard shortcuts or icons shortcuts on the desktop or task bar). With Google Chrome, you can only have one open tab. 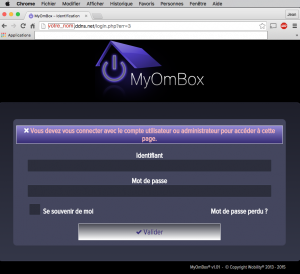 Then, go to http://myombox.local. After loging in, click on the options menu > More tools > Create shortcuts to applications. 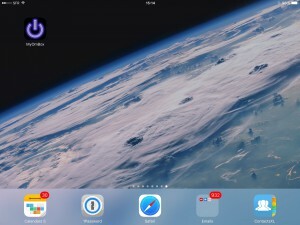 To create an icon on the home screen, you must use the original browser, Safari. 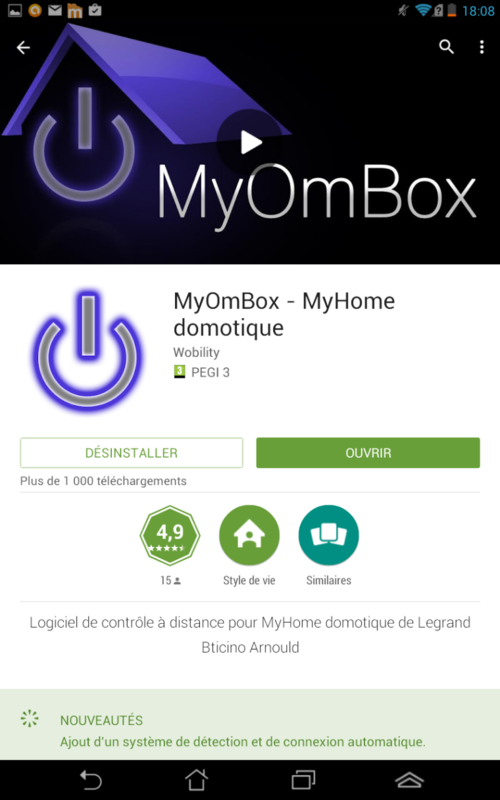 In the address bar, enter http://myombox.local (or http://myombox.local/log.php), then log in, click on the symbol and on the + sign to add “On the home screen”. A small popup window will open; simply click on “Add”. 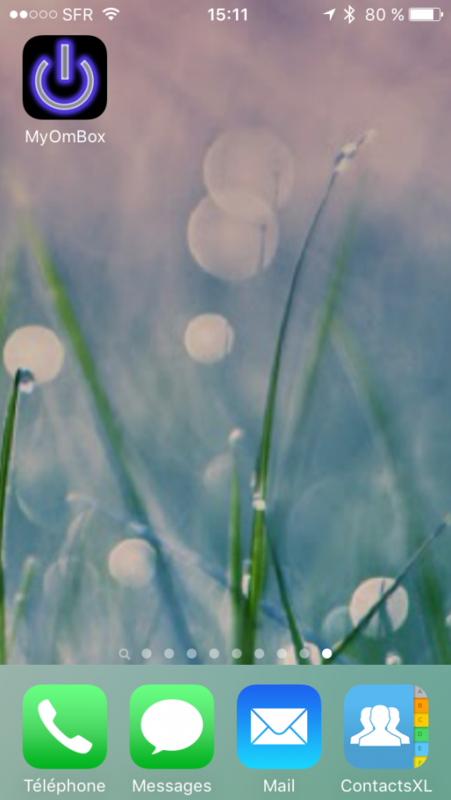 A nice icon will appear on your screen. Same process as for the iPhone.